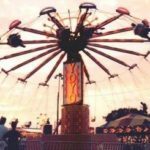 The flying chair ride is one of the most popular rides you`ll ever find in a variety of fairgrounds and carnivals, especially in America. 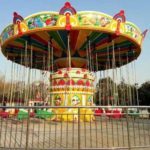 The ride is very popular among a wide range of people – and it`s certainly showing no signs of losing it’s popularity any time soon. 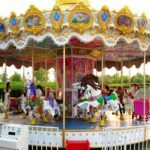 In this guide, we`re going to take a closer look at the key features offered by this ride, and why it`s an excellent choice for any park owner. With this in mind, let`s begin. 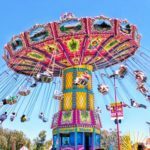 First of all, the flying chair ride (commonly known as the swing ride, or merely the chair ride) is essentially a variation on the popular carousel ride – although it certainly offers a little more thrill and exhilaration – thanks to the fact that you`re suspended in the air while you rotate around the ride. 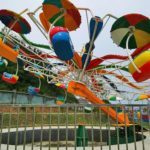 While some of these rides can be quite slow and tame, others can move at a surprisingly fast pace – and some even tilt across the top, which adds a whole new dimension of fear and excitement to the ride. Interestingly, while this ride seems incredibly modern – they were actually first invented way back in 1908. At this time, the ride was known as he flying swing? and the first one was installed at Idora Park in Oakland, California. Some of these rides are almost like a work of art by themselves. 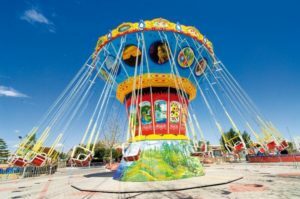 With the huge size and breathtaking construction, they`re certainly interesting to look at – and with the incorporation of additional art and design work, many of them become a central feature of the entire park. This visual interest adds a great deal of appeal to the ride, and it`s sure to attract a lot of attention within the park – as many guests will simple stand and watch in awe of how magnificent the ride looks – even if they`re a little scared to try it themselves at first! In general, the rides are best suited to larger parks – although some smaller variations of the ride do exist. Perhaps some of the most impressive versions of the ride are in Europe. 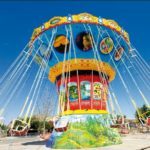 For example, the Prater Turm ride in Austria stands at an incredibly tall height of 117 metres – which means it`s a wonderful sight to behold, even if you`re not riding it. Another fascinating variation of the ride is the WindSeeker in Cedar Fair Park. 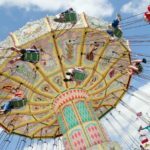 This ride is one of the tallest in the country, so not only do you get to experience the thrill of the swing effect – but you enjoy this thrill at an astonishing height, way up in the sky. Of course, this can be quite scary for people who are afraid of heights – and it`s a challenge for virtually anyone who firsts rides it. By there`s no denying the sense of fear, excitement, and exhilaration this ride can provide. 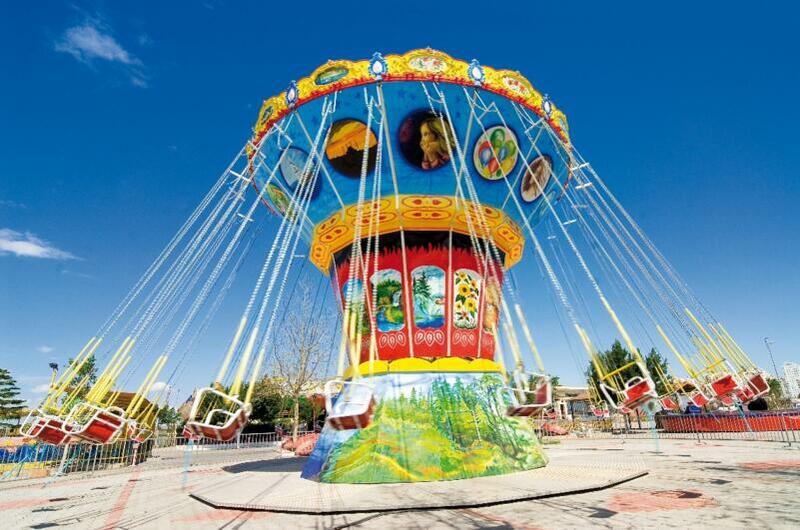 Overall, it`s easy to say that the flying chair ride is one of the best rides you could ever have in your park. 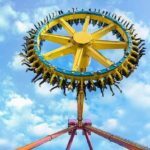 Not only is it far more engaging and thrilling than many alternatives, but it`s also quite rare – which means it will generate a lot of interest within any amusement park, because it`s certainly not a ride you come across every day.